H.O.P. Sales & Service was founded in 1973 by Jim and Maureen Devine as a mobile pressure washing company cleaning truck fleets in the greater Boston area. 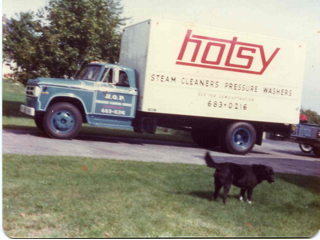 The focus soon shifted away from washing and toward the sales and service of industrial steam cleaners and pressure washers. 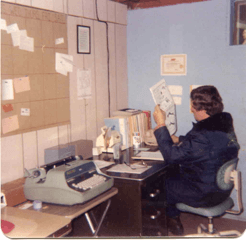 In 1979, the company moved its base of operations from Methuen, MA to its current headquarters located in tax-free Sandown, NH, just 1 hour north of Boston. Throughout the years H.O.P. 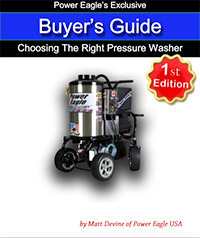 has carried only industry leading brands of pressure washers. However, we wanted to offer our customers more. In 1999, we decided to design and carry our own line of hot water washers sold under our “Power Eagle” name brand. This instantly changed H.O.P. from an ordinary distributor of equipment to sellers of our own exclusive product line, made the way we want them, with the components, features, quality, and reliability that we designed into them. Compare our Power Eagle equipment to other brands and you’ll find a true difference. We excel in Pressure Washer service, maintenance, and repair. Today, H.O.P. is proud to be a national distributor of its Power Eagle line of equipment. Second generation leadership from sons Matthew and Patrick Devine have yielded growth in new areas of the business, and strengthened our long term vision to continue to develop new models and more innovations as new technologies emerge. We plan to keep Power Eagle “the best you can buy” for decades to come. Throughout the years H.O.P. has carried only industry leading brands of pressure washers. However, we wanted to offer our customers more. In 1999, we decided to design and carry our own line of hot water washers sold under our “Power Eagle” name brand. This instantly changed H.O.P. from an ordinary distributor of equipment to sellers of our own exclusive product line, made the way we want them, with the components, features, quality, and reliability that we designed into them. Compare our Power Eagle equipment to other brands and you’ll find a true difference. Today, H.O.P. is proud to be a national distributor of its Power Eagle line of equipment. Second generation leadership from sons Matthew and Patrick Devine have yielded growth in new areas of the business, and strengthened our long term vision to continue to develop new models and more innovations as new technologies emerge. 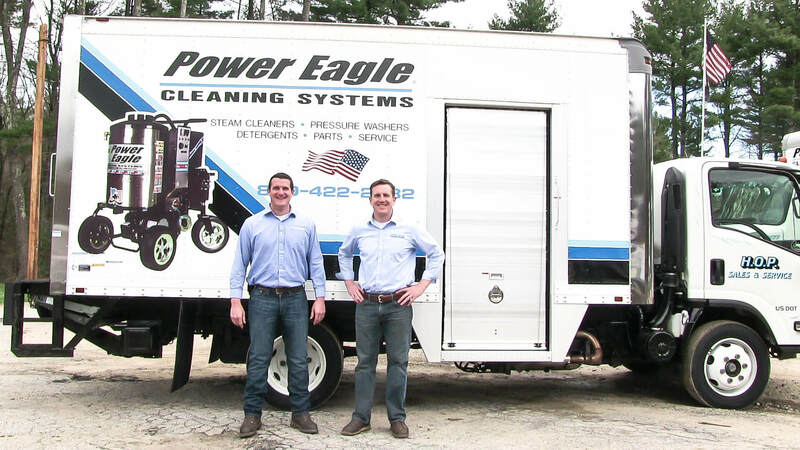 We plan to keep Power Eagle “the best you can buy” for decades to come, along with providing excellence in Pressure Washer service, maintenance, and repair. Contact us with any questions. Our goal is simple – to produce high performance, American made equipment that is simple yet innovative, using only the highest quality, non-proprietary components. We back our equipment with an industry leading warranty and provide customer service that exceeds your expectation. We are the brand you’ll proudly tell your friends about. 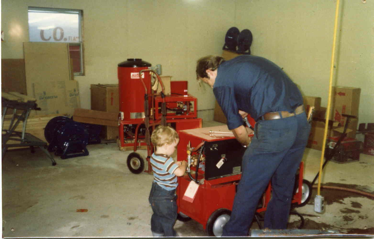 As a second generation, family-owned and operated company, our approach may be different than most. We recognize that choosing the right company to purchase from is equally as important as choosing the right equipment. For this reason, we focus intently on providing customers with an extraordinarily high level of pressure washer service, maintenance, and repair. We’re committed to excellence in each transaction, big or small. This refreshingly simple approach to business is what has differentiated us from our competitors since 1973.